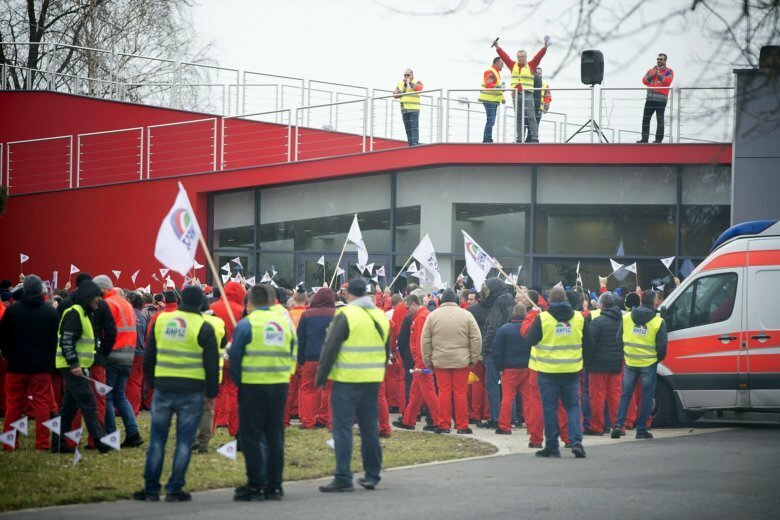 GYOR, Hungary (AP) — Some 4,000 workers held a warning strike at Audi’s manufacturing plant in Hungary, demanding higher wages and other benefits from the German carmaker. Union leader Sandor Nemeth said that Friday’s two-hour work stoppage was “exceptionally successful,” proof that the workers support the union’s demands. Those demands include a monthly base pay hike of 18 percent, or at least 75,000 ($268), and at least one free weekend a month. Audi said it would continue the wage negotiations, saying the strike did not affect the firm’s ability to supply customers. Carmakers like Audi, Mercedes, Suzuki and Opel have been among the main drivers of Hungary’s economic growth in recent years. In 2018, the Audi plant in Gyor in western Hungary built 1.95 million engines and 100,000 vehicles, while employing 13,000 workers.